This unique resource integrates the scientific work of Ben Franklin with lab procedures for replicating historic experiments in secondary classrooms. Writings and historical observations are woven into lab descriptions to give students a better insight into Franklin's work. Videos of some of the experiments are also provided. This introductory section describes the history of Franklin's work, and provides details of the equipment that will be used for the entire unit. This movie shows a number of electrostatics experiments performed with cellophane tape and other common household objects. It illustrates some of the activities in the "Ben Franklin as my Lab Partner" curriculum materials. Rights: This material is copyrighted by the Wright Center for Science Education at Tufts University. It may be used for non-commercial purposes with attribution. This movie demonstrates the charging of objects, and people, what Franklin described as "Drawing the Fire". It illustrates some of the activities in the "Ben Franklin as my Lab Partner" curriculum materials. This movie shows the steps in building a Leyden Jar out of a film can and aluminum foil. Several of these will be used in electrostatics experiments that are part of the "Ben Franklin as my Lab Partner" activities. This file contains the template for the sides of the generator used in the Ben Franklin experiments. This unique resource integrates the scientific work of Ben Franklin with lab guides for replicating historic experiments in secondary classrooms. This introductory section describes the history of Franklin's work, and provides details of the equipment that will be used for the entire unit. This is a wonderful collection of materials on the scientific works of Benjamin Franklin, integrating historical background with descriptions of the actual lab experiments. The lab guides explain how to set up identical (or very similar) experiments in the classroom and provides video how-to's for several lessons. This is the introductory segment of materials by author Robert Morse on the scientific works of Benjamin Franklin. It integrates historical background and primary source documents alongside lesson plans for setting up identical (or very similar) experiments in the classroom. It includes a template for building a generator, plus video how-to's for several lessons. R. Morse, (Wright Center for Science Education Tufts University, Medford, 2004), WWW Document, (https://www.compadre.org/Repository/document/ServeFile.cfm?ID=3427&DocID=2347). 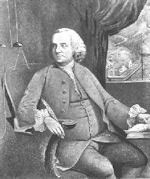 R. Morse, Franklin and Electrostatics - Ben Franklin as my Lab Partner, (Wright Center for Science Education Tufts University, Medford, 2004), <https://www.compadre.org/Repository/document/ServeFile.cfm?ID=3427&DocID=2347>. Morse, Robert. Franklin and Electrostatics - Ben Franklin as my Lab Partner. Medford: Wright Center for Science Education Tufts University, February 1, 2006. https://www.compadre.org/Repository/document/ServeFile.cfm?ID=3427&DocID=2347 (accessed 24 April 2019). Morse, Robert. Franklin and Electrostatics - Ben Franklin as my Lab Partner. Medford: Wright Center for Science Education Tufts University, 2004. 1 Feb. 2006. 24 Apr. 2019 <https://www.compadre.org/Repository/document/ServeFile.cfm?ID=3427&DocID=2347>. Experiments with Points and Leyden Jars is the first lab manual in this series. Experiments on Electrostatic Induction is the eighth lab manual in this series. Lightning and Lightning Rods is the sixth lab manual in this series. Experiments and Theory of the Leyden Jar is the second lab manual in this series. Describing the Lightning Rod Experiment is the fifth lab manual in this series.